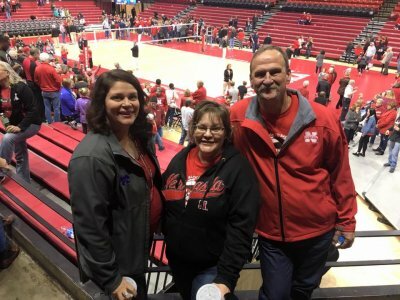 I didn't get to write you all on Friday as I was traveling to go watch some Husker volleyball with mom and dad! What a fun time we had! But I have lots to tell you today! So let's see what's happening around the shop! Friday December 8th & Saturday December 9th: Anniversary Sale!! We want to first thank you all for your generous donations to the pillow case and pantry drive! I know many people will be thankful to receive the gifts of your kindness! 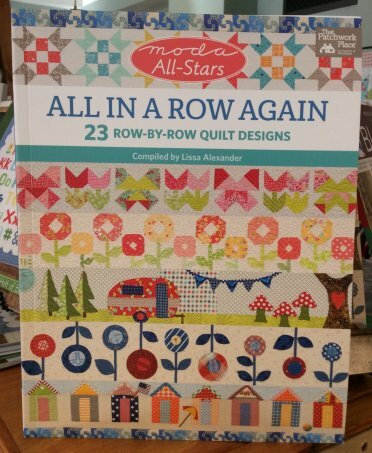 December also means the countdown to finish those Christmas projects and shop for your quilting friends is here! Be sure to check out our variety of notions and fun little projects we have to offer. And don't forget we have Gift Certificates available too! 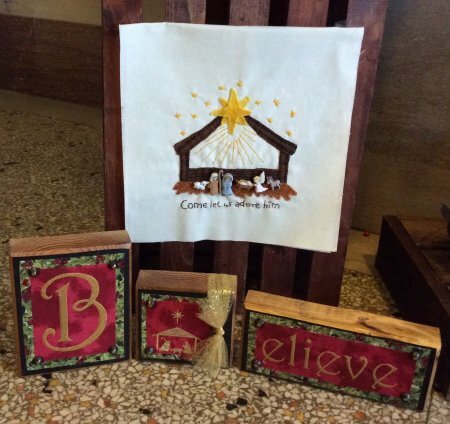 Check out the NEW beautiful pattern by Blueberry Backroads - Come Let Us Adore Him! If you love Christmas, wool, or embroidery this is the perfect project for you! Whip this into a fun throw pillow or a wall hanging to display this Christmas Season! The moda all-stars are at it again with the new title All In a Row Again! Check out the fabulous rows on the cover - I wonder what else is inside? We hope to see you all on Friday & Saturday to help us celebrate our Anniversary! Have a wonderful week!